Positive Material Identification |Material Verification|Metal Testing. To Become the USA’s Premier Analytical Consulting Firm for Positive Material Identification (PMI), Material Verification, and Metal Testing. To Increase Scientific and Engineering Quality Assurance within the Metal Testing Community by Providing High-level Technical and Practical/Hands-on Training, State-of-the-Art Analyzers, Properly Trained Inspectors, and Competent Consulting Resources. Erika Pfeiffer serves in the capacity of Training Coordinator and Customer Support for Metal Analysis Group. 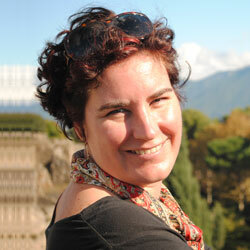 She provides technical support, training, and consulting across all market areas for our customers. Erika holds B.S. and M.S. Degrees in Geological Sciences and has nearly 15 years of experience as Field/Laboratory Chemist and Geologist in both the industrial and government sectors, including work for Los Alamos National Laboratory and the (EPA) Environmental Protection Agency. Erika excels in teaching science to non-scientists and making complex topics understandable by a wide range of students. She has taught at the College/University Level, as well as in corporate and laboratory settings and has recently co-authored a series of training courses aimed at Spark-OES, HH-XRF, and ICP-OES users. Erika resides in Detroit, Michigan, enjoys sailing and traveling, and explores the US, Canada, Europe, and the Caribbean whenever possible. 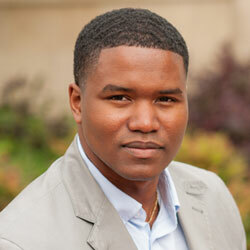 Mr. Quan Collins has a Mechnical Engineering background (B.S. Mechanical Engineering) and is a Principal for Metal Analysis Group. 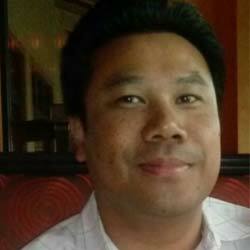 Quan is responsible for South USA Sales and supervises MAG’s Testing and Training programs. He has developed a series of theory and practical/hands-on training classes to support MAG’s customers, including Industry recognized PMI Certification Courses for OES, LIBS, and XRF. 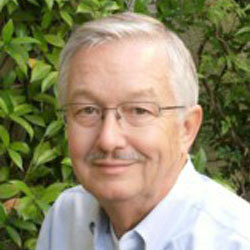 Bob has worked in the elemental analysis instrumentation industry for over 30 years. Supported by a degree in Applied Chemistry he has worked in positions from Salesperson to Director and most things in between. With 30+ years of OES and 25+ years XRF and sample preparation applications under his belt he’s now back doing what he enjoys the most – interacting with customers and putting that experience to use, providing the very best advice, assistance and analytical solutions available. Mr. Troy Robertson is a Principal for Metal Analysis Group and has worked in the analytical instrument industry for 20+ years (B.S./M.S. Chemistry). 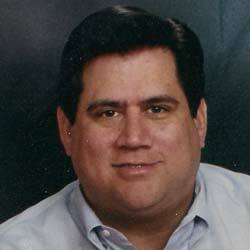 He serves as MAG’s North America Sales and Business Development Manager. Troy has worked with Scientists, Engineers, Analysts, and Technicians all over the country, providing support in a multitude of analytical areas including: analytical instrument selection, testing protocol and methodology, calibration and application for reference standards, instrument and personnel certification, sample preparation, and laboratory safety to name a few. A semiconductor engineer with a bachelor’s degree in electrical engineering and business administration who got sidetracked into the development, marketing, and sales of analytical instruments,found people more to his liking than chips, and has been a consulting salesperson ever since (35+ years)for a wide variety of analytical instrumentation, the long and short of which cover the electromagnetic spectrum from the mid-infrared all the way down to and including X-Rays. Jim covers the West Coast from his home office in the Bay Area. Vidal currently serves as Scrap Market Specialist and Consultant for Metal Analysis Group. He holds a B.S. Degree in Geology from Western Kentucky University and began his career as an Oil & Gas Geologist with Geolog international, where he worked as a Field Geologist and was responsible for well-site testing and cuttings/core analysis at drilling operations across the USA. Vidal excels in relationship building and has a very customer-centric, supportive disposition, which our customers connect with very well. Vidal resides in Nashville TN, and is well traveled, as he has spent time in Ecuador, Italy, Romania, Croatia and Mexico. Mitch Wallace manages the Southeast USA Region for MAG. He has a BS Degree in Business Administration from Kennesaw University and resides in the Atlanta GA area. Mitch has been working in the industrial and metals Industry for more than 25 years and possesses a very strong customer service bent. Pat Sells is a Chemist/Metallurgist with Metal Analysis Group. He received his BS in Chemistry and Computer Science from Loyola University of Baltimore. 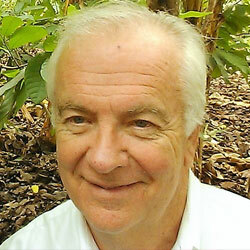 He is well-versed in a host of analytical techniques with a special emphasis on the following elemental analysis technologies; WDXRF, EDXRF, XRD, OES, AAS, RAMAN, ICP, and ICP-MS. .
Pat is an experienced Metals chemist, having served as Chief Chemist and Trainer for the Bethlehem Steel Corporation. His career has also afforded him an opportunity to work with Instrument Manufacturers in Analytical Instrument Sales, Sales Management, and Training. 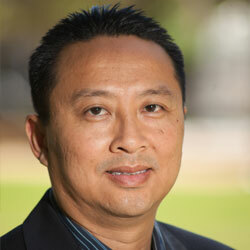 Peter Chhlang serves as Inside Sales and CRM Manager for Metal Analysis Group. Peter possesses a Bachelor of Science in Economics from the University of Rhode Island and has an extensive background in Commercial Business. He currently resides in Pearland Texas with wife and two children and in his spare time, enjoys family time and travel. 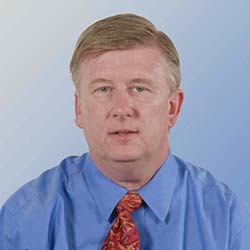 Wayne Vereb is a graduate of Gettysburg College with further targeted education in semiconductor technologies and computer science at Boston College, Harvard University Extension School, MIT and Berkley University short programs. He has a Six Sigma Green Belt from the Rutger’s University Lockheed Martin Program. Professionally, Wayne has spent 4 years in commercial laboratories working in the analysis of hazardous chemical. During this period, he learned how essential it is to produce accurate, legally defensible results. From there, Wayne went into the Semiconductor industry where he spent 18 years doing process and hardware development work for Drytek, Lam Research, and a couple of start-up companies. During this period Wayne put his data driven skill to work developing high volume production worthy processes into companies across the USA, Europe and Asia. After leaving the semiconductor industry in late 2007, Wayne has spent his time as an OES Applications Specialist helping customers get the most out of their technology investments. 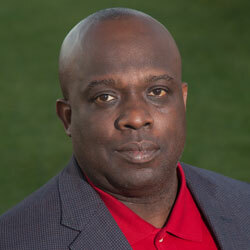 Chris serves as the Gulf Coast Sales Representative, Rental Coordinator, and Marketing Consultant for MAG. 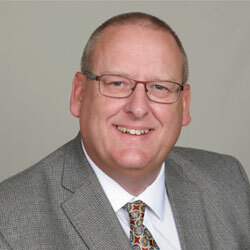 He has worked in Elemental Analysis for Oil & Gas and related industries for over 12 years connecting with customers at each point in the supply chain. Spending most of his career in reference material manufacturing, Chris has learned a great deal about troubleshooting specific customer scenarios and applications. 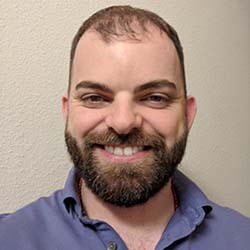 Gaining experience in production, quality control, marketing, and sales, Chris is eager to put that experience and knowledge to use by helping customers create unique solutions that save money and increase profits. Chemical analysis instruments are needed in a number of fields – from research to manufacturing to assist with metals identification, trace and bulk composition analysis, quality assurance and more. As such, the on-demand availability of the latest technology metal analysis equipment the market has to offer is mission-critical to any use case type; it starts with choosing the right solutions provider and ensuring that the right products are chosen for current demands with options for future expandability without sacrificing the lack of outdated technology as it evolves. Metal Analysis Group brings a consultation-based approach with experience in a number of industries and applications. We schedule an on-site visit to establish a customized assessment of your existing analysis solution and create a solution that is practical for your use type. Contact us today and receive an extensive assessment with our turn-key metal analysis solution. Extensive Technical Expertise in a number of industrial markets and applications including, Aerospace, Metal Production and Fabrication, Oil & Gas, Geology/Mining, Polymers, Electronics, Environmental, Chemicals, Consumer Goods, Government, and Military. Watch our video and understand how our solution and approach is different and why it extends the longevity of your demands. Whether you have a specific requirement for a current project or require a reliable long-term metal analysis partner with a dedicated solutions specialist that you can consult with in moment’s notice – we are the most practical solution. Request a free assessment of your current requirement right now and speak to a solutions specialist immediately.